Infant and childhood food allergy, whose cause has long been a mystery, has now been linked to a mix of environmental and genetic factors that must coexist to trigger the allergy, reports a new Northwestern Medicine study. The factors contributing to food allergy include the genetics that alter skin absorbency, use of infant cleansing wipes that leave soap on the skin, skin exposure to allergens in dust and skin exposure to food from those providing infant care. Food allergy is triggered when these factors occur together. "This is a recipe for developing food allergy," said lead study author Joan Cook-Mills, a professor of allergy-immunology at Northwestern University Feinberg School of Medicine. "It's a major advance in our understanding of how food allergy starts early in life." The paper will be published in the Journal of Allergy and Clinical Immunology on April 6. Food allergies are on the rise and affect an estimated 4 to 6 percent of children in the U.S., according to the Centers for Disease Control and Prevention. 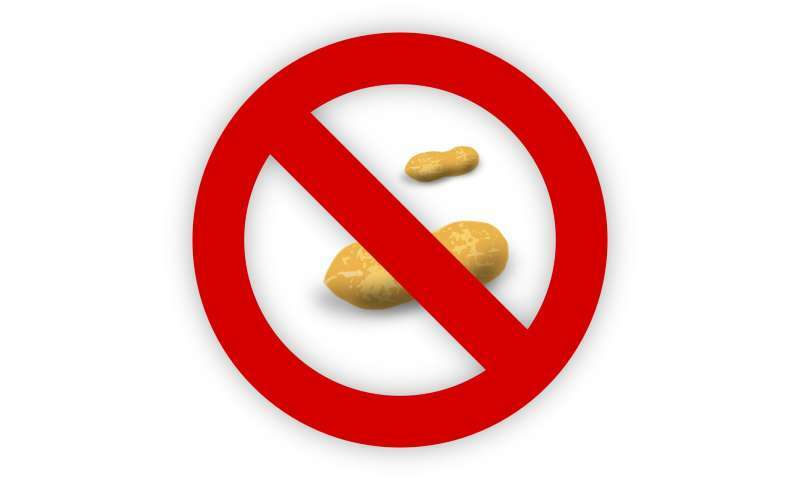 The prevalence of reported food allergy increased 18 percent among children under age 18 years from 1997 to 2007. Recent data also show hospitalizations with diagnoses related to food allergies have increased among children. The good news is factors leading to food allergy can be modified in the home environment, Cook-Mills said. "Reduce baby's skin exposure to the food allergens by washing your hands before handling the baby," Cook-Mills said. "Limit use of infant wipes that leave soap on the skin. Rinse soap off with water like we used to do years ago. " "Then I thought about what are babies exposed to," Cook-Mills recalled. "They are exposed to environmental allergens in dust in a home. They may not be eating food allergens as a newborn, but they are getting them on their skin. Say a sibling with peanut butter on her face kisses the baby. Or a parent is preparing food with peanuts and then handles the baby. " Next, she read about skin research studies that delivered compounds through the skin by using soap. "I thought oh my gosh! That's infant wipes!" Cook-Mills said. The top skin layer is made of lipids (fats), and the soap in the wipes disrupts that barrier, Cook-Mills explained. Skin problems that occur with skin barrier mutations may not be visible until long after a food allergy has already started. The neonatal mice with the mutations had normal-appearing skin, and the dry itchy skin of dermatitis did not develop until the mice were a few months old, the equivalent of a young adult in human years. These novel animal studies provide a basis to test interventions that will more effectively block the development of food allergy in infants and children, Cook-Mills said.